The opening ten minutes or so of Fulton Lights, which is ostensibly Brooklynite one-man-band Andrew Spencer Goldman’s penname as well as the name of this long-in-production debut, recalls late ‘90s chill-out electronica/lounge fusion almost as anachronistic as the album’s now three year old politics. It sounds like if Morcheeba, Portishead, or Tricky had depicted isolation and estrangement from what Bush Junior must now see as his halcyon days. 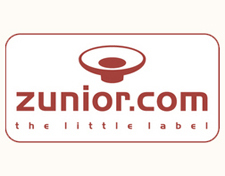 So it’s tempting to take that and run with it, except that from there the album unfolds into a patient, evolving collection that mimics and reflects with its tracklist the passage of time over which it was created. 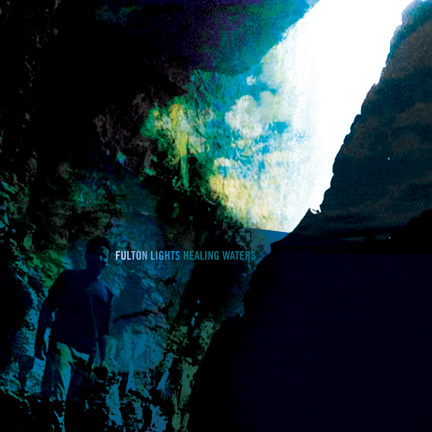 Fulton Lights blossoms into deep colors to outgrow its early moments, replete with narrator development and all, rather than settle for a patchwork set of tracks sequenced in order of mood. Looked at this way, all those early flaws are as essential a part of the story as the album’s more enjoyable second half. The flaws are what the listener will hear first. Though one can hear the weight of time in the album’s meticulous production and serene pacing, one can also hear some of the datedness in Goldman’s lyrical themes. The album might have taken three years to make, but in the early going it also sounds three years old, tapping into that period’s neo-McCarthyist paranoia. On “Thank God for the Evening News,” Goldman asserts, “You can’t believe everything you hear / and you can’t believe everything you see / like White House press conferences / about freedom and about democracy.” Not an invalid point, but it’s unfortunate that it should come now, when popular opinion’s shift makes it possible to hear such reflection from the likes of Wolf Blitzer and Anderson Cooper, forget New York artists and the Blue States’ estranged. 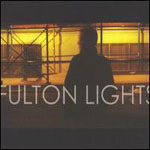 Contrary to what some early reviews have proclaimed, Fulton Lights’ politics are anything but provocative at this point. Follow-up “1,000 Eyes” insists, “You’re being watched by a thousand little eyes,” and thus tries to conjure panoptic terror alerts and Orwellian dread during a time when Big Brother seems at his most de-clawed. 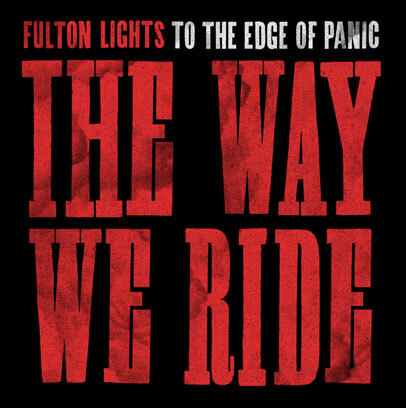 If Fulton Lights at first hopes to set up the album as a documentation of early post-9/11 New York, the songs that follow are the cold-water splash of America’s current political shift. Stylistically, the minimalist, rhythmic contributions of Still (former third of Dälek) give way to more contemplative referents like Low or Yo La Tengo (or, on “Old Photographs,” Ottawa/Toronto slo-core band Kepler, to chilling effect). Likewise, the lyrical thread shifts from rushed accusation and grand summary to subjects less anchored by such a politically charged period. If the former thread is cliché by virtue of its coming too late, the latter may at first appear so for being one of seemingly millions. But as “The Sound of the City” moves inexorably through its almost eight minutes, its meditation reveals a request for calm, a prayer for silence. The song asks New York to refute, if only for a brief moment, the voices that together declare its identity; New York is first a city that “won’t shut up” and, as the song closes, Goldman imagines a scenario where “everybody held their breath.” New York is a difficult city to write about, let alone tame, and Goldman’s neutered New York is a fascinating dystopia of mute disaffection. As if striking home the point, the song possesses a gorgeous drone that is offset and contrasted with its minimalist details, such as the almost silent organ hum and distant drum machine of its bridge. Goldman masterfully puts into literal effect what, for him, is a central problem: the relationship between noise and silence is essentially the same as that between the incoherence of charged speech and silence, with the former always creating alienation and the latter the impossibility of connection. “The Sound of the City,” though it sees only this binary, is still complex enough to do justice to the city it evokes. The image of Goldman’s narrator in New York’s noisy midst, pleading for a moment’s respite, is both fundamental and stunning. In other places Goldman’s lyrical twists and flops bewilder. During “The Monkey On Our Backs” Goldman says that, “Time is a bad friend / never there when you need him / and always around when you want to be alone.” This nonsensical poke at profundity is then followed up with something simple and honest, if not earth-shattering: “And as the seconds are sliced away / I think about all the things I did today / and all the things I didn’t.” The crux is that though Goldman’s lyrics often oscillate between fumbling for inspiration in overreaching poetics and trying to insert said inspiration into the obvious, they also somehow end up being highly quotable and affecting by virtue of his near-whisper, the patient crawl of faded pianos, and the album’s overarching, ghostly lament. Our own Mr. Betz’s track review for the highly-praised “Fire in the Palm of My Hand” was right on the money, not just for its summation of this gorgeous, piano-driven song, but also in the vocabulary necessary in categorizing such music: with easy, unquestioning sway, Goldman asks that one allow words across the page to be imbued with the same inalienable romance as his lyrics. Less interested in proclaiming self-importance, Goldman’s philosophy has an appealing naiveté about it that can be inspiring when it succeeds and maddening when it doesn’t. Goldman saves his best lyrical turn for last, a culmination of his twin tools of brainy contemplation and simple honesty. On “Breathe In, Breathe Out” he sings, “And then just like that / he fell in love with the city / inexplicably / and unlikely as it would seem / His friend said it was the Patty Hearst syndrome / but maybe it was sympathy / But maybe he saw it breathe in, breathe out.” This confession is where Goldman truly shines, the album’s high point, and the greatest distance from Fulton Lights’s opening tracks in terms of sentiment; it’s as if over the course of the album’s forty plus minutes Goldman has clutched from a miasma of fear and suspicion the capacity for mature, sobering analysis. The New York he now presents us has come alive, pulled itself out from under the stifling politicization of recent years as Goldman sketches a narrator more complex than a simple tributary to the city or a dated or two-dimensional rebel figure. He completes this solid, often beautiful debut album by giving us an individual who comes to truly live in the city, a person who realizes the complexity of his relationship to the breathless sound and light that surrounds him; it’s all a source of both alienation and inspiration.